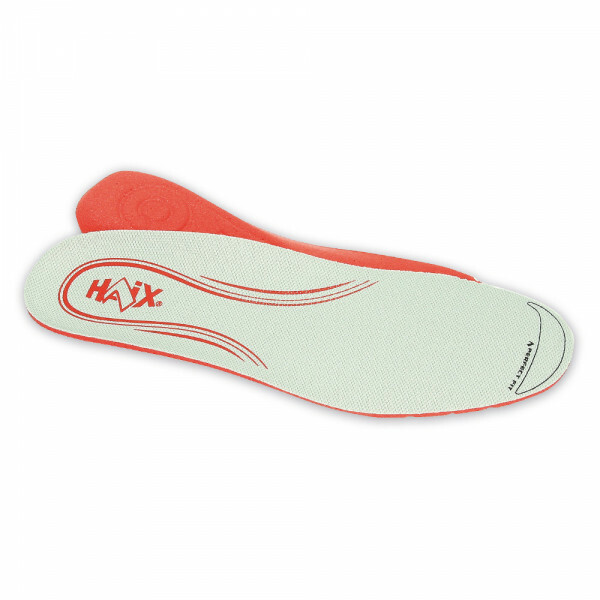 Productinformatie "HAIX Insole PerfectFit Light"
100 % polyester fabric for moisture distribution. The distribution of the foot moisture on these fibers results in a faster transport and drying effect. Open-cell PU foam with high moisture absorption, with very good shock absorption over the entire sole area. Three different thicknesses = three different widths. Embossed structures and channels at the bottom provide better aeration. Increased foot support through a special padding. Mark for optimal verification of the correct shoe size.